Elegant and Excellent for traveling! This is the Dual Time GMT in rose gold, with a blue dial, it is a 42mm case, automatic movement, with a Big Date, and Ulysse Nardin patented forward and backward quick set function. 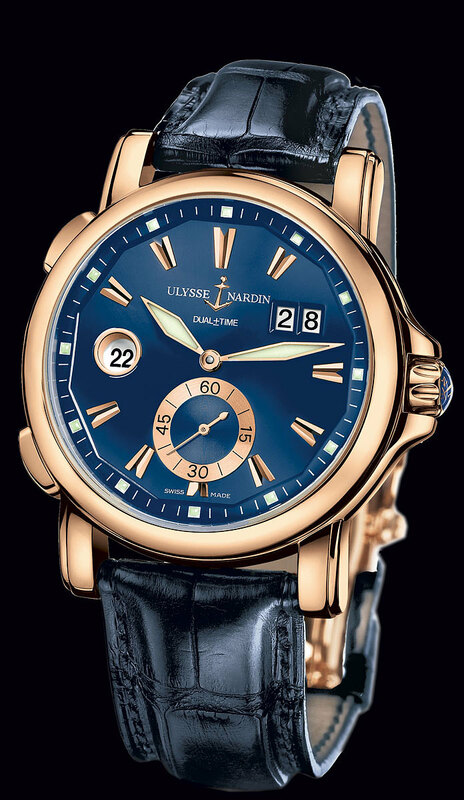 It features a sapphire glass back, with a visible 22K rose gold rotor etched with the Ulysse Nardin name and anchor logo. 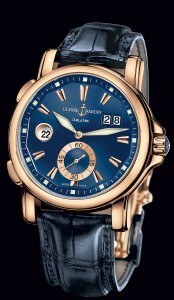 It is available on elegant matching navy blue color alligator strap, and rose gold folding buckle.